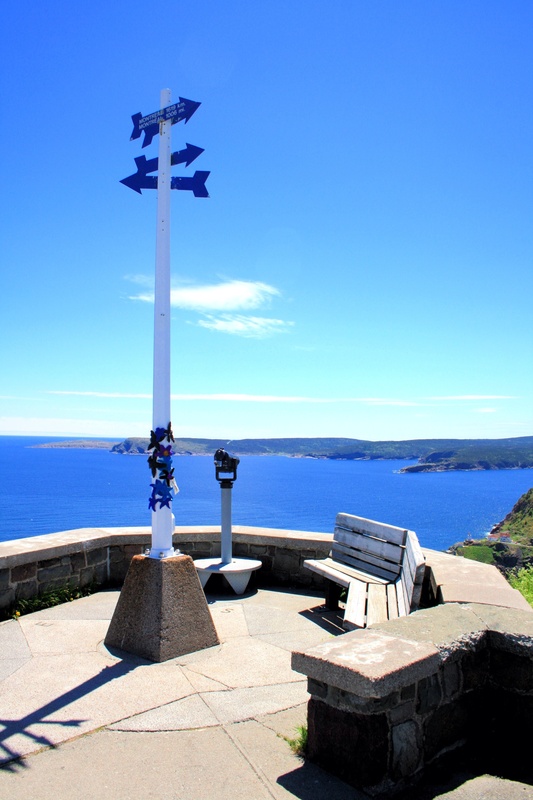 Old Manolis and the Sea officially launched in Twillingate on June 8th, World Ocean Day. The response from Twillingaters and crafters alike has been incredibly positive. As word of the project has travelled more knitters have gotten on board, thus making a satellite installation in the provincial capital possible. 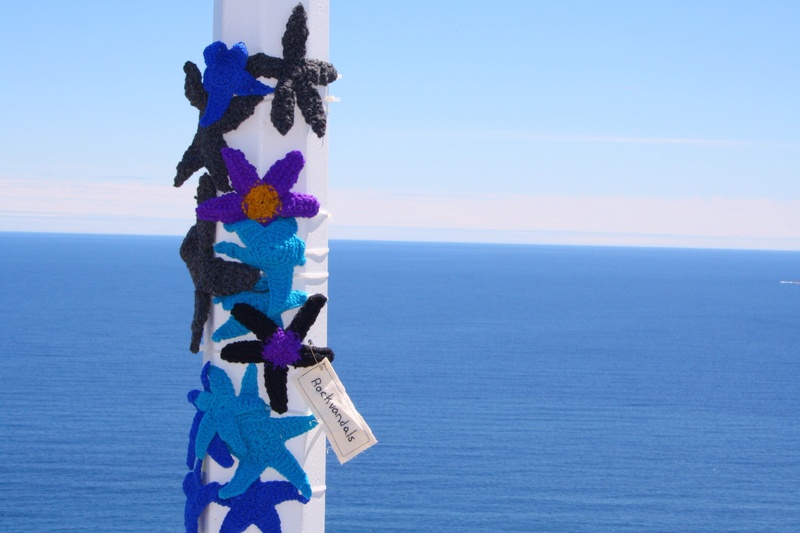 As with the original installation, these starfish are knit in 100% wool and intended to break down in the elements similar to the hull of the Manolis L.
“Old Manolis and the Sea: St. John’s” is the combined effort of three knitters from Ontario, New World Island and Twillingate. 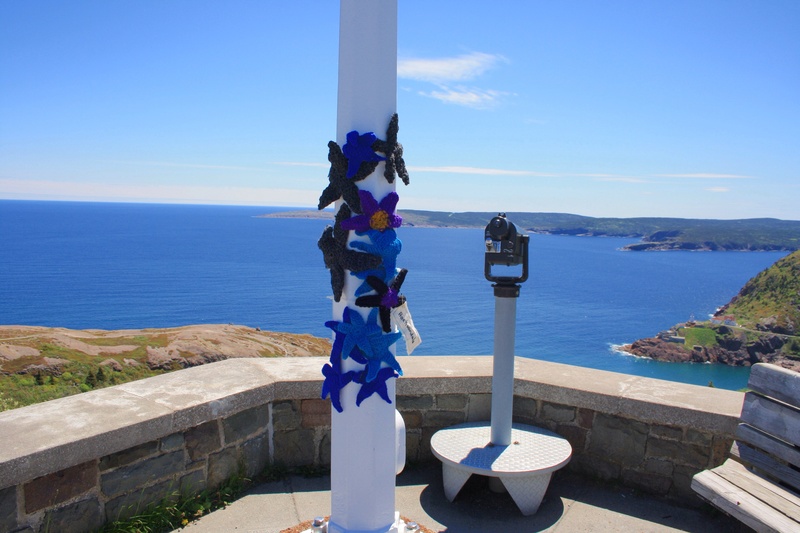 It was installed on June 20th on Signal Hill and can be likened to a ripple or wave travelling out from the original project. It is, once again, hoped that this project will bring public attention to the Manolis L. cause while also encouraging creative expression and engagement in local issues. Lots of visitors to this spot forsure.! You sure are a rocking vandal !!!!! I knew you had things under control here in Twilly! Thanks Bonnie!